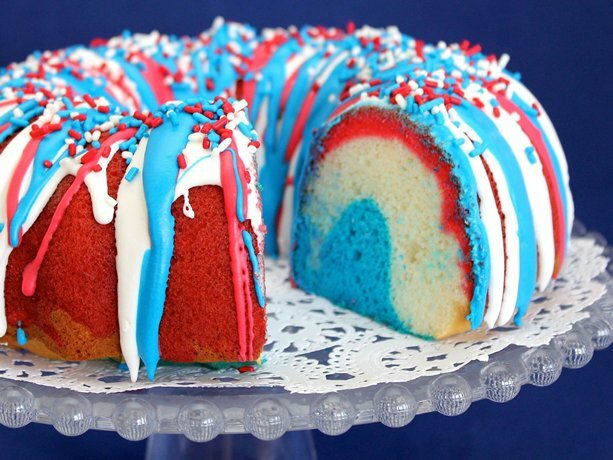 Just in case you are like me and wait until the last minute to plan your 4th of July desserts menu (and desserts really are the star of your Fourth Of July picnic), I thought I’d show you a few patriotic desserts I’m dying to make this year. They all look super yummy and highly patriotic. Of course, this only applies if you are in the U.S.A. If you are Canadian and celebrating a belated Canada Day, then just skip the blue parts of the foods. These Spangled Sandwich Pops originally from Disney Family Fun would be ridiculously easy to make. Buy ice cream sandwiches, roll them in sprinkles and insert popsicle stick. BOOM, you’re done! This No Bake Summer Berry Ice Cream Cake from Cake’s Cottage is as gorgeous as it is easy to make. 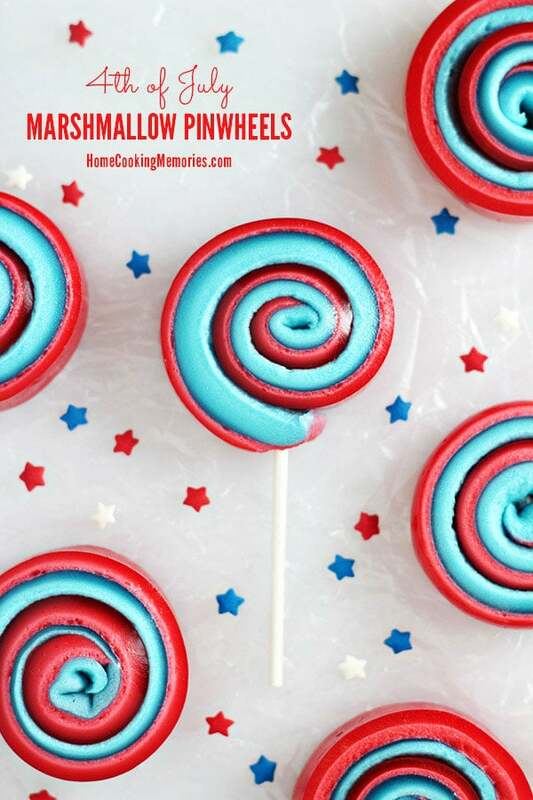 Who doesn’t like a 4th Of July Pinwheel, especially these edible ones from Home Cooking Memories! 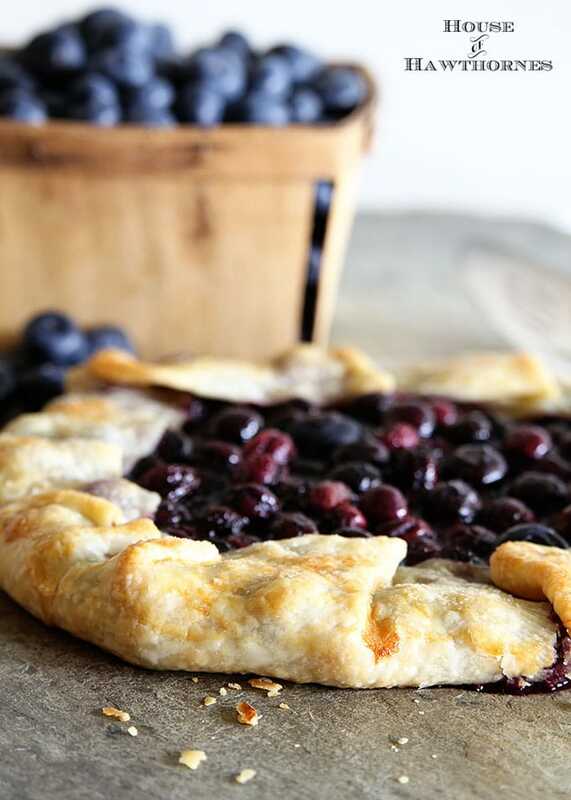 And a bonus for you is my Bluebbery Crostata. These pies are SO EASY to make and so impressive at the same time! Who wants to bet that I just buy an apple pie from the grocery store, slap it into my fancy star spangled pie pan and try to pass it off as homemade? That’s what Betsy Ross would have done. With all those bombs bursting in air, she wouldn’t have had time to make a pie from scratch either. 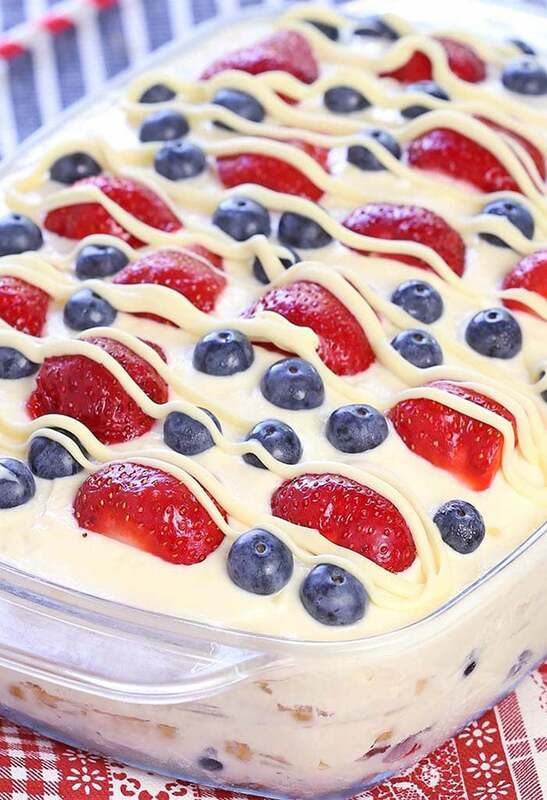 Even more dessert ideas can be found on Patriotic Fourth of July Desserts HERE. 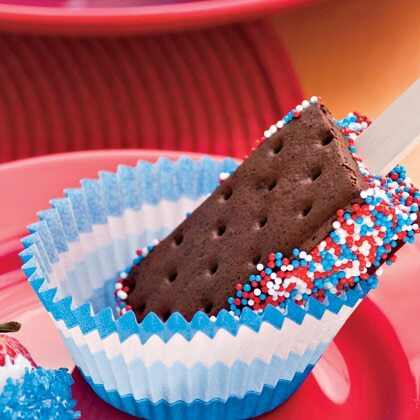 When I get home from work today, the girls are going to be messing around with those patriotic sprinkle covered ice cream sandwiches! Yummy! Just doing yogurt parfaits here. and fresh fruit. But all your treats look YUMMY! ENJOY. Happy FOURTH. What a great selection of yummy red white & blue (ok, green in case of the rice crispie treats ~ lol!) Can’t believe that the 4th is already here….guess We’d better head to the grocery store tonight to get my ingredients for tomorrow’s potluck 🙂 Enjoy your 4th of July Pam! Whew! When I saw the thumbnail picture on my blogroll I thought you created that masterpiece in this heat! Every one of those desserts would impress a gathering of friends or family. Yum! This year we’re having no company, so it’s Teeny Weeny donuts and foot long Italian sausage at the downtown vender. How easy is that?! And oh so healthy. Cute!!!! 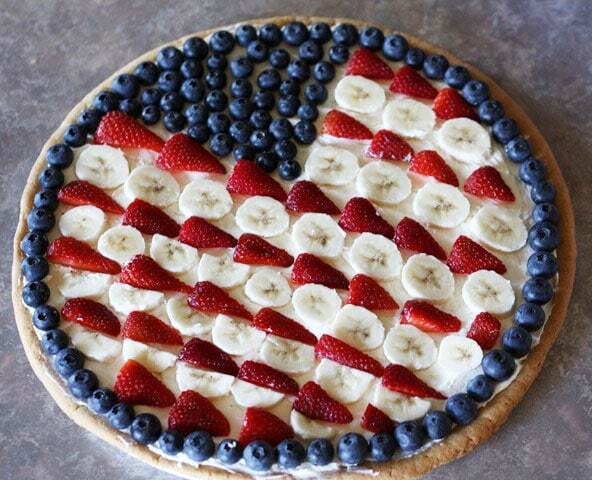 I love the flag pizza! It was so perfectly done! Mine would probably look a little more sloppy if I tried it! 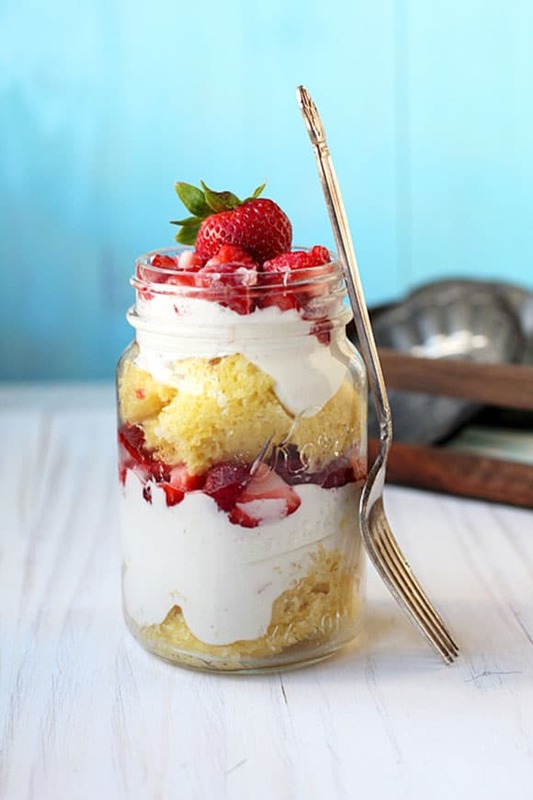 Mmmm, I’d go for the trifle or the strawberry shortcake in a jar. When there’s some fruit involved, I tell myself what I’m eating isn’t so bad. Wow, that bundt cake is all kinds of crazy. If only I were hosting a gathering this year! 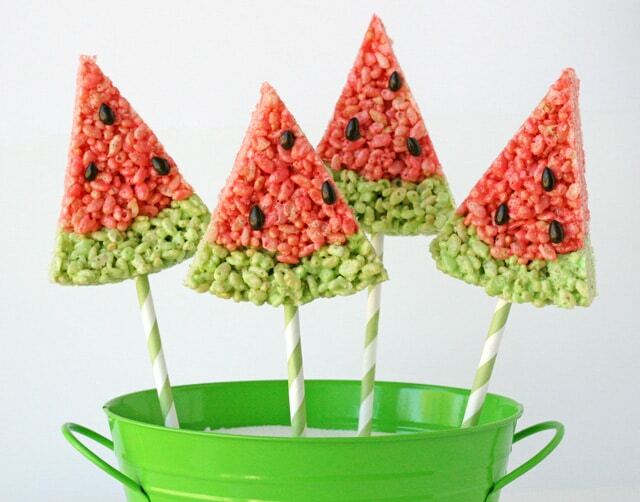 The watermelon pops are too cute. I am cutting a cantaloupe and that is it. Do not be envious. Wow–these are all picture picture. Bet they taste great too:) Have a great fourth! The ice cream sandwiches on my menu tomorrow! Thanks for the idea and Happy 4th! 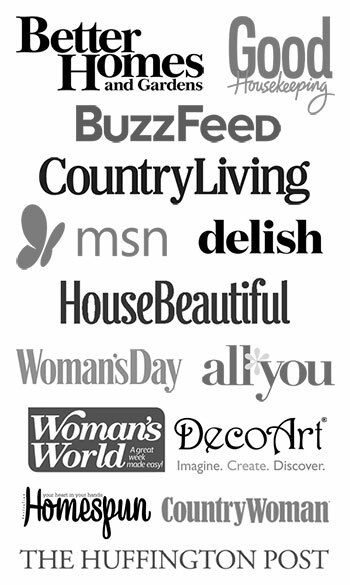 Your desserts look fabulous, pinned and scheduled to share on social media. Thanks for the great post! This is great. I need something to take to my sisters house next week for a 4th party. 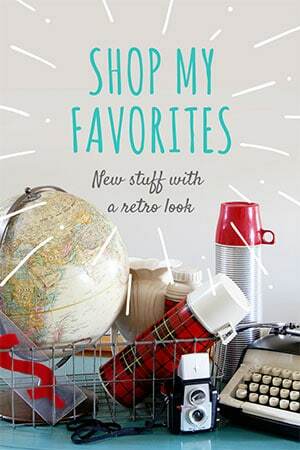 Wonderful collection of recipes ~ I’m a last minute gal so this is a party saver for me. Pam, I am seriously going to have to make that Blueberry Crostata! Lovely blog. And it’s so easy to make! I’m going to make one to take to a gathering this weekend with raspberries and rhubarb in it! I recently got a trifle dish and am So excited to use it. 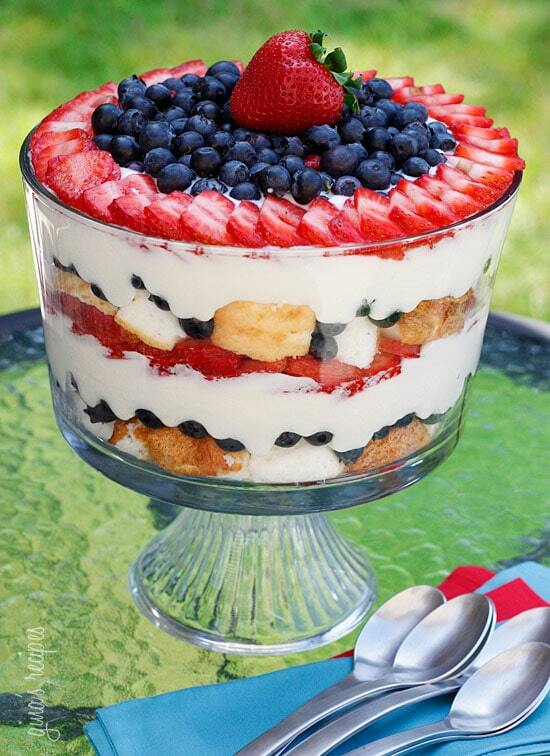 I love the way the patriotic trifle looks and I will definitely be making it for the 4th this year! Can’t wait!